Why is Design and Technology important? The teaching of Design and Technology (D&T) prepares pupils to participate in tomorrow’s rapidly changing technologies, by learning to think creatively. How do pupils benefit from learning Design and Technology? The subject calls for pupils to become problem solvers, both as individuals and in groups – looking for needs, wants and opportunities and responding to them by developing a range of ideas, making products and systems. Practical skills are combined with an understanding of aesthetics, social and environmental issues, function and industrial practices. 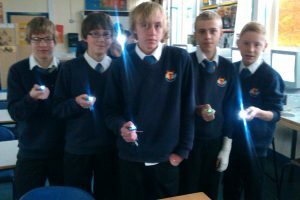 In the learning process pupils can reflect on and evaluate present and past D&T, its uses and effects.Through D&T, all pupils can become discriminating and informed users of products, and become innovators. 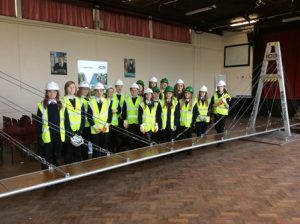 At Ysgol Clywedog the Design and Technology Department believe that pupils can learn well through the use of making and producing real products. The chance to have an idea and take it through to reality allows the learner to fully appreciate the reality of our world today. Through skills and knowledge they can apply their learning to other subjects and experiences.